We are manufacturer of Glass Fabric Epoxy Laminates. We manufacture highly effective and reliable glass epoxy sheets that are widely used for packaging in diverse industries. 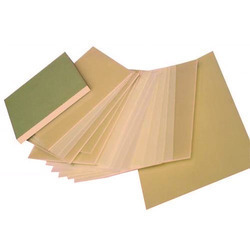 Our range of epoxy sheets contains high mechanical properties at medium humidity level and also has a good dielectric stability at high humidity level. 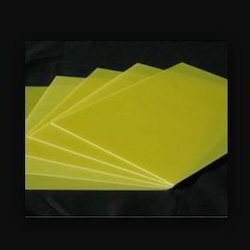 We are engaged in offering a huge array of Glass Epoxy Laminate Sheet to our customers. We are offering Safety Laminated Glass to our clients. Catering to the requirements of our clients, we are involved in offering Glass Epoxy Sheet. Quality is the hallmark of our company, to maintain preset quality standards we are presenting a wide array of Glass Epoxy Laminates. Our products are widely demanded by the clients for their hassle free performance. grade : nema g-10/fr-4 mil-1-24768/27 sheet size : 37" x 49" & 43" x 49" thickness range : 0. 0187" - 2" description : this is a glass reinforced epoxy resin bonded high pressure laminate for use in electrical applications where high arc resistance is needed. Colour is light, translucent solid.